Becki is an experienced painter of dogs and cats. She specialises in capturing the pet’s individual personality and includes the environment in which they are most at home. In 2015 a little dog with a big heart (and a big bark) came into her life transforming it forever. She became the Dog Mother of a very special Chihuahua called Tita who enjoys dressing up. 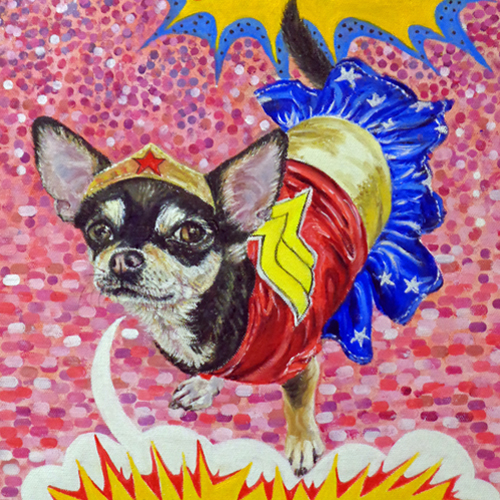 Becki has been working on a series of oil paintings of her ever since, called The World of Tita Petita Chihuahua where she paints her in various guises- as a Mexican, a Rapper, a Nurse and even a Superhero! 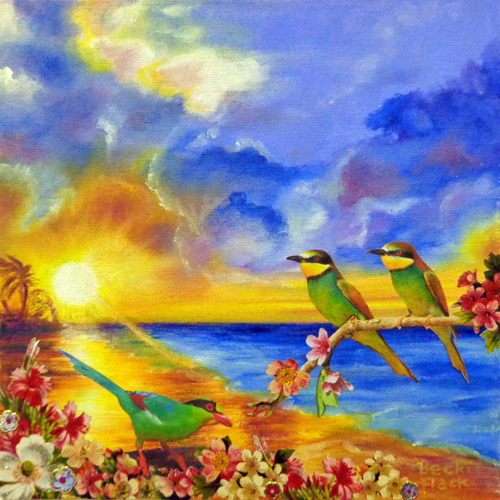 The paintings are detailed and painted with love and a big dollop of humour. She hopes to make the viewer smile. A chapbook is in the pipeline called ‘Tita Petita Chihuahua’ which includes poetry written by Becki as well as her paintings. 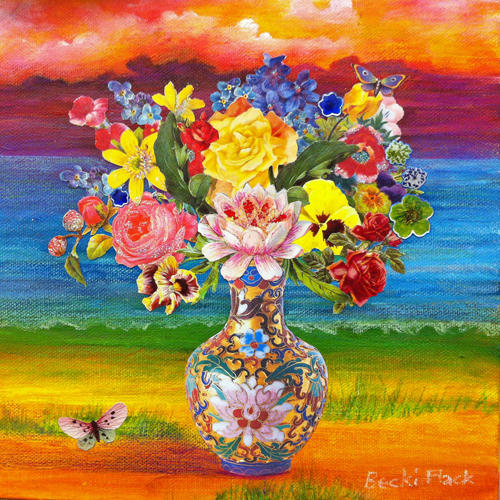 Becki also produces collages of Nature in its most idealized form as a type of vivid Paradise. 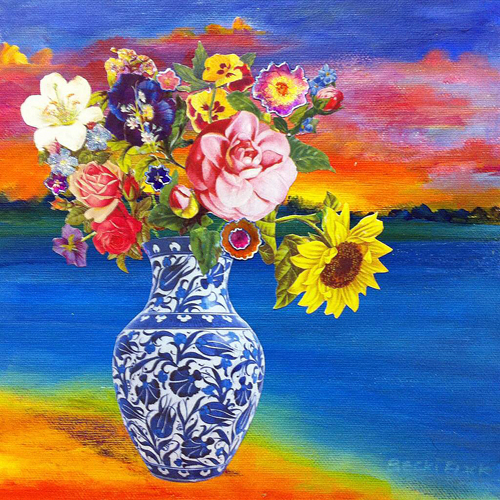 She creates the work on a landscape that she has painted in oils. She then plays with different images from decoupage, wrapping paper or magazines until she finds a composition she likes. Usually animals are included as she loves them and also flowers for their beauty and colour. Sometimes she uses coloured pencil to blend the collage with the painted background. Her wish is to produce mini celebrations of life that give her pleasure and inspire joy in the viewer.